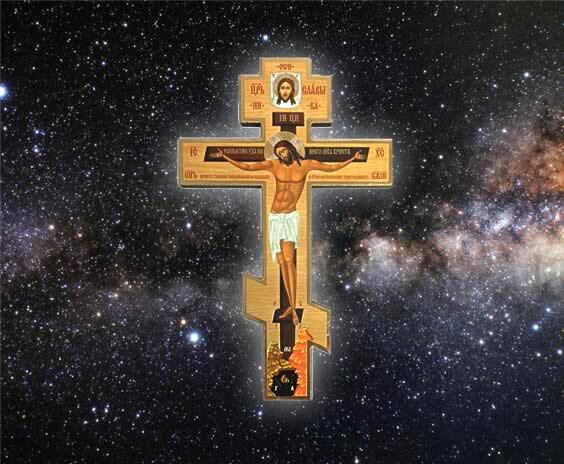 The relationship between science and Christianity is replete with nuances and complexities. There is a danger of oversimplification and polarization where one perspective entails a view that sees them as locked in mortal combat, while the other extreme is an inability to criticize even the most grotesque uses and claims of science. The topic of science and Christianity (Western or Eastern) requires some knowledge of the history and philosophy of modern western science (modern science is particular to European thought and must be distinguished from other forms of science), its historical roots, motivations, philosophical assumptions, the influence and nature of western Christianity, the role of technology, and the relationship between modern science and secularism. In this short essay I discuss only a few points, but ones that are perhaps particularly salient. Historians of science do not view the relationship between science and religion as one of inherent conflict. Rather, this idea was encouraged in the popular and academic mind by two influential but bias and historically inaccurate books written at the end of the 19th century'.1 The well-known historian of science, Ronald Numbers, an atheist, states: "The greatest myth in the history of science and religion holds that they have been in a state of constant conflict. "2 Nonetheless, not only does this idea remain popular among the public and in academia, it is being promoted by a seemingly greater number of New Atheists. Recent sociological studies revealed that among scientists at elite universities in North America, about 47% believe in some form of God. On the one hand this means almost one in two scientists believe in God in some manner (the number that regularly attend church is considerably less), on the other hand that number is far less than the general public which stands somewhere around 80-85%. So the simple answer is that not all scientist are atheist but they are significantly less religious than the general public. It should also be recognized that some of the most ardent materialists in the academy hail from the humanities including religious studies departments and even in theological schools. While it is true that many atheist theologians use science to undermine belief in miracles, the supernatural, and scripture, the question is whether science justifies this position. A very brief response is that is does not. Science is a method of discovery about the natural world made known to us within our restrictions as human beings. The use of it to deny belief in anything transcendent is a worldview that lies outside of science and cannot be proven scientifically. David Bentley Hart reminds us that much of the religion and science arguments center around a major misunderstanding of the traditional concept of God, where the word God is refers to a celestial designer or mechanic and used as a kind of 'supreme natural explanation. '3 What the new atheists are doing when they attempt to use science to 'disprove' God is to commit a category error in logic. God as understood properly cannot be dis proven by science and as Bentley Hart says in his latest book: "Hawking misses the whole point of talk of creation: God would be just as necessary even if all that existed were a collection of physical laws and quantum states, from which no ordered universe had arisen; for neither those laws nor those states could exist of themselves. But—and here is the crucial issue—those who argue for the existence of God principally from some feature or other of apparent cosmic design are guilty of the same conceptual confusion; they make a claim like Hawking's seem solvent, or at least relevant. because they themselves have not advanced beyond the demiurgic picture of God." And further down he explains: "As I have said above, and will say again at greater length, there simply cannot be a natural explanation of existence as such; it is an absolute logical impossibility. The most a materialist account of existence can do is pretend that there is no real problem to be solved (though only a tragically inert mind could really dismiss the question of existence as uninteresting, unanswerable, or unintelligible)." A major problem is the inability to distinguish science from scientism which is the use of science as a quasi-religion and the view that science is the only legitimate form of knowledge. Some might say that science is the only rational response to experience. There is a tendency in our society to be uncritical of scientific claims and to take then on face value as if they were absolute truths. Ironically, the history of science reveals the opposite. Knowledge in science is constantly changing and in the process previous terms undergo radical redefinitions or modification. The universe as described in the 18th century science, is not the same as it was in the 19th, which differed again in the 20th, and where it will be three hundred years from now is a guess. Precisely because science is an ongoing process subject to revision and change that alone should make it a dubious place in which to seek questions regarding ultimate reality. It is a method of knowledge applicable to the natural world. As such it has few if any equals but that is very different than suggesting that it is omniscient. More so, the description of the human within natural science demonstrates our limitations rather than our omniscience. Science should make us humble in regards to questions of ultimate reality. We can speculate about things beyond ourselves but we cannot reach beyond who and what we are. Simply put, the scientific description of our humanity aptly defines our limitations not our infinitude. We are like fish in a pond and while we can learn all there is about the pond, it is always human science and human reason. Biological evolution as commonly understood, is focuses on survival and reproduction. For this reason Alvin Platinga argues that there is no reason to claim that the human brain evolved as a truth finding organ and there is no way to ground human knowledge within materialism. There is no way to affirm that we can ever know Truth. It is only revelation from the transcendent that can take us beyond what we are. It is God that makes human science grounded in objective truth, and gives human reason a foundation, which was understood by the early founders of science. A theme persists in the current society that science deals with what is 'true' because it is empirical, whereas religion is 'mere belief ' or belongs to the realm of morals and ethics which is something less than factual. At worse religion is seen as lacking any empirical or rational foundation. Orthodox Christians should recognize that there are countless examples of experiential support for our belief. The faith is founded on the experience of the Apostles and those who followed in their steps. We have 2,000 years of experiential knowledge and our own empirical knowledge. The apostles were not theorizing, they were describing their experience. The description of the human within natural science demonstrates our limitations rather than our omniscience. Science should make us humble in regards to questions of ultimate reality. We can speculate about things beyond ourselves but we cannot reach beyond who and what we are. St. Paul says "I know in whom I have believed" (II Timothy 1: 12). St. Peter emphasizes that "We did not follow cleverly invented stories when we told you about the power and coming of our Lord Jesus Christ, but we were eyewitnesses of his majesty ( II Peter, 1:16). St John the apostle says "We proclaim to you what we have seen and heard" (l John 1:3) and again "... what we have heard, what we have seen with our eyes, what we have looked at and touched with our hands" (l John 1:1). This is not speculation, it is concrete and experiential. What makes knowledge in Christianity different from knowledge in science has ultimately to do with the 'object' to be made known. While a universal definition of the scientific method remains elusive, (for one thing, not all the sciences are the same and do not use the same assumptions and methodology) it is generally agreed that it requires reproducibility, testability, and the ability to make predictions. These imply control over the topic of investigation but we can never have control over God. The scientific method is applicable for things in the created world but inappropriate for knowledge of God, and at best only limited at providing evidence for the existence of God. God is persona and this kind of knowledge requires relationship. God is true in the objective sense, meaning that God exists whether or not someone believes in God, but God as persona is made known and understood in a relational manner. That is why a Down syndrome child can know God while a Nobel laureate may have no clue. Love is understood subjectively but is also an objective reality because we can witness its affects. It can be shared between other minds. Things like love, hate, anger, jealousy, are not physical things, they cannot be weighed and measured, but we recognize they exist and have strong effects within the physical world. A person who has never known what it is to be in love but thinks they understand it because they have accrued data and facts by objectively studying the behavior of other people, is deluded. Facts are not the same thing as truth. A painting has an aspect to it that is physical as well as aesthetic. The physical parts can be studied scientifically and described with a high degree of accuracy. It would all be testable and reproducible data and if there were a race of beings who had no sense of art to them that would be what the object is for them. Yet in the end, that is false and all the hard data in the world does not change that. Using an electron microscope instead of a light microscope gets one no closer to art, it just reveals more information about the physical component. While the painting as object is physical, its purpose is atheistic, not physics or chemistry. Oils and canvas exist for the purpose of art, not art for the purpose of oil colors and canvas. People don't exist for the purpose of cells and organs but cells and organs exist for the purpose of having people. To understand the meaning of the object called a painting one has to put the microscope aside and learn to see with the eyes of an artist. An analogy might be made with science and the creation. Science tells us what the creation is made of and how it works but only seeing it through spiritual eyes can the purpose and meaning of it be understood. Science and religion are not unlike this analogy of a painting. The physical components of the painting are not at war with the aesthetic, rather they are the medium through which the art is made known. The creation consists of the physical but if that is all we focus on, no matter how much true data we acquire about it, we will never see it for what it is. The mistake made by too many is that they confuse the accumulation of physical data with the truth of a thing and that results in the distortion of scientism. The price paid for refusing to aspire to spiritual truth is that the greatest aspects of the creation are reduced to mere things, ultimately nothing more than colliding of particles that lack all meaning and all human existence ends in oblivion. Humanity viewed only as a physical object has prompted some very famous scientists and philosophers of our age to define the human as a 'walking bag of chemicals', 'a mere collection of particles', 'an aberrant species', 'a hairless ape', and as 'having no more free will than a lump of sugar'. It may be argued that perhaps in no other worldview has humanity been so demeaned as in materialism. We are not even worth hell because we are in essence, just mere stuff. By contrast the human seen through the eyes of the spirit makes the psalmist exclaim regarding our humanity that "You have made them a little lower than the angels, and crowned them with glory and honor." 1 John William Draper ( 1874) History of the conflict between religion and science. Andrew Dickson White ( 1896) A History of the Warfare of Science wi.th Theology in Christendom. 2 Galileo Went to Tail and Other Myths about Science and Religion. Ronald L. Numbers. Harvard University Press, 2009.